The Commission of Inquiry into allegations of impropriety at the PIC has heard that VBS CEO Andile Ramavhunga was instrumental in determining the terms of a R350 million revolving credit facility issued by the PIC. Legal advisor at the PIC, Mercy Leroke, read emails to the commission that show Ramavhunga was telling the PIC’s legal team what clauses to put in the agreement for the PIC credit facility to VBS. Two clauses that weakened the PIC’s protection on the loan found their way into the contract after the agreement was approved. Head of legal at the PIC at the time, Ernest Nesane, was also a board member at VBS Mutual Bank, seconded there by the PIC. The PIC’s exposure to VBS Mutual Bank at the time of the bank’s liquidation was to the tune of R458 million. This was partly due to the loan facility and shares held in the bank. The commission also heard that the PIC was taken by surprise by the emergence of a new shareholder at VBS, Vele Investments, following the first rights issue. Vele’s stake increased to 53.2 % with the issuance of the second rights. Chairperson of Vele investments Tshifhiwa Matodzi was also chairperson of VBS. 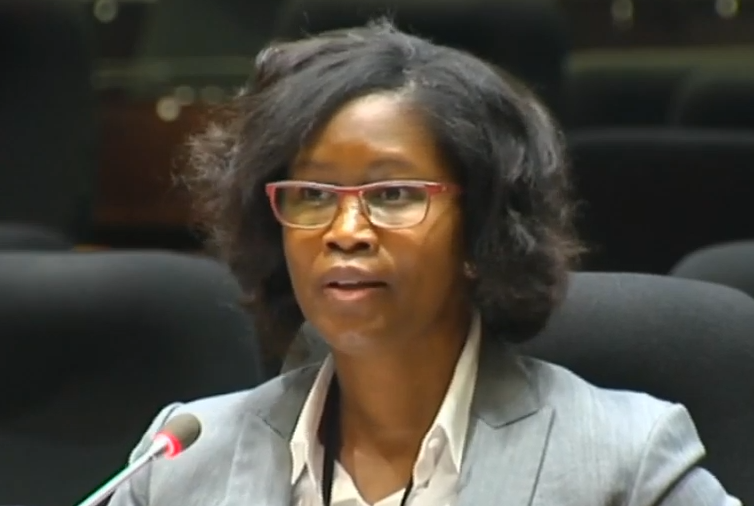 Pamela Phala, senior manager for Corporate Legal at the PIC, also took the stand telling the commission of her ill treatment and victimisation by former CEO Dan Matjila and suspended CFO Matshepo More for having a different opinion from what they wanted to hear. She says she was sidelined and a junior lawyer, Ernest Nesane, whom she had appointed, was then appointed as executive head of legal after a restructuring of the legal department. She says she was spied on without due notice as required by law. The post VBS CEO determined terms of PIC credit facility appeared first on SABC News – Breaking news, special reports, world, business, sport coverage of all South African current events. Africa's news leader..